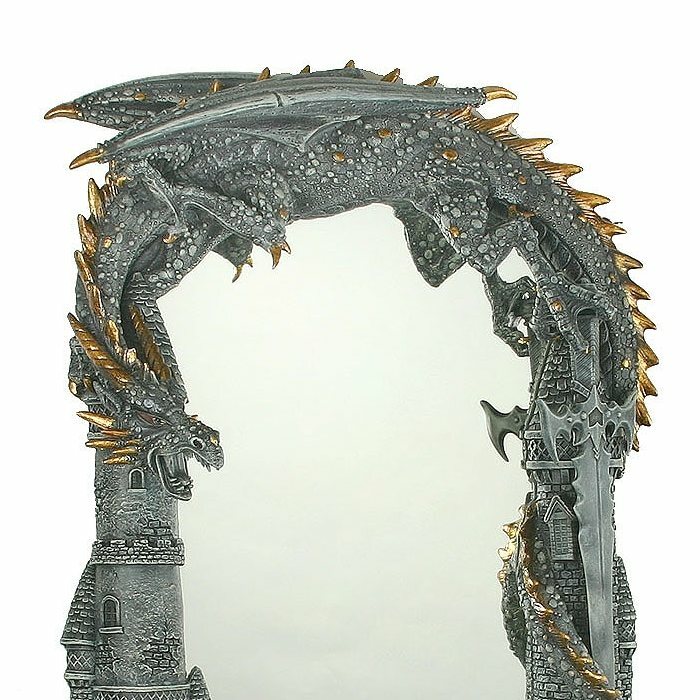 This Castle Mirror is like something out of a Harry Potter Movie. 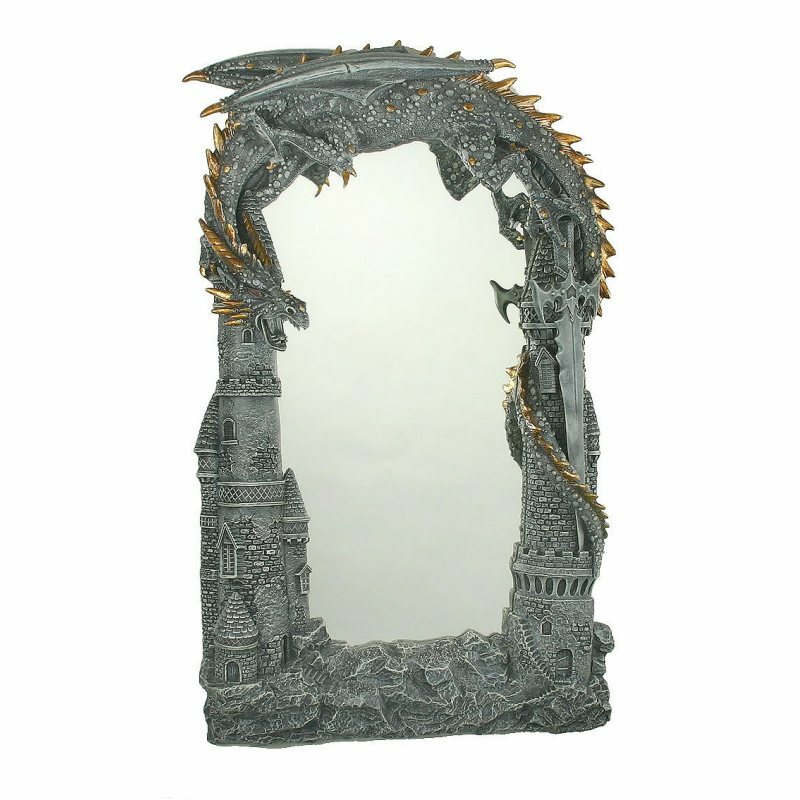 This 3 Dimensional Dragon Mirror is large, measuring almost 3ft tall with an impressive Dragon curled around a Medieval Castle. Made of resin with gold colour highlights.